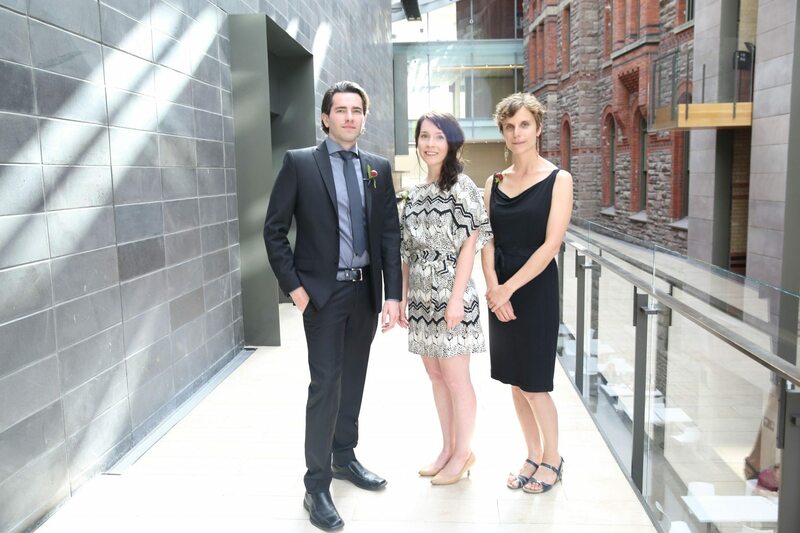 The Writers’ Trust of Canada has announced on June 8 that Toronto writer Brendan Bowles has won this year’s $5,000 RBC Bronwen Wallace Award for Emerging Writers, presented to authors under the age of 35 who are unpublished in book form. The prize alternates each year between short-fiction and poetry. Bowles’ short story “Wyatt Thurst” was selected from 131 submissions by a jury comprised of fiction writers Eden Robinson, Johanna Skibsrud, and Michael V. Smith. Two finalists were each honoured with a $1,000 prize: Allegra McKenzie for “This Monstrous Heart” and Hannah Rahimi for “With My Scarf Tied Just So.” The winning and nominated stories are available alongside featured works of previous award years for free download through iBooks.